My last blog on Nokia had appeared 3 months back. 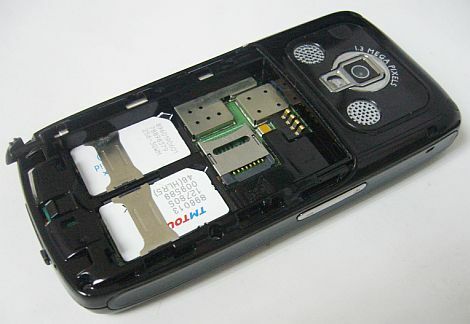 That was around Nokia WP7 tie-up. Nokia has been having a continually downward spiral and generally unexciting products over the last 4 years now. To me the last of Nokia’s giant products was really the Nokia N-95. After that, Nokia slipped into a catch up game trying to match Blackberry, Android and Apple innovations. A precipitate of Nokia’s slow, steady decline is now that Nokia is loosing market dominance in the very markets where it was unbeatable till a few quarters back. For instance, in Western Europe which was Nokia’s backyard, Q1,2011 saw Nokia being relegated to No.2 position in Mobile phones and in Smartphones. 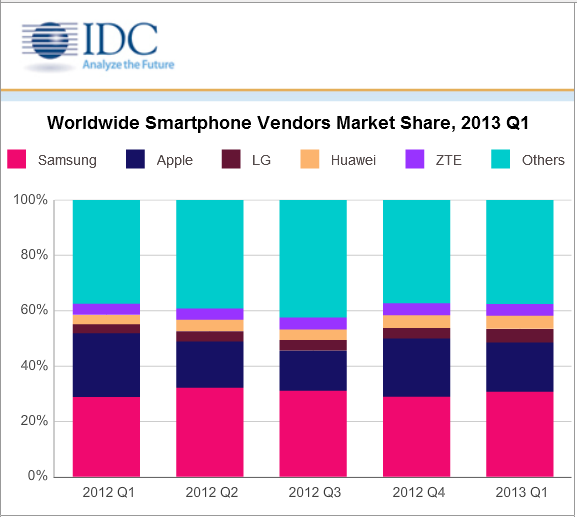 Samsung and Apple are the new leaders in mobiles and smartphone categories. 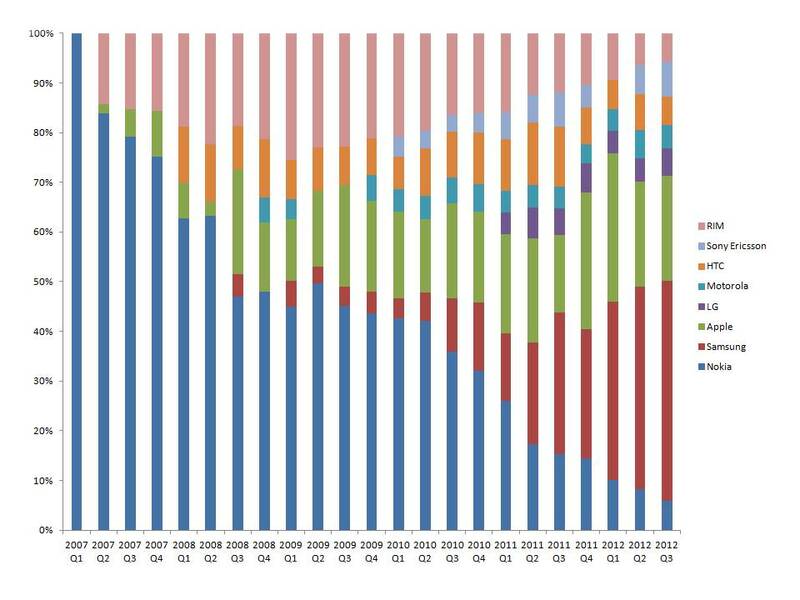 While Nokia’s decline has been a long time coming, this sea change in its home market underscores just how much ground the company is losing in traditional areas of strength. Nokia is one of the most recognized and appreciated brands in Europe, but Samsung was the one understanding the trends first and moving faster. Samsung understood early the trend on touchscreen devices and became the market leader on feature-phones by providing a full range of devices at very competitive prices. On smartphones, Samsung has quickly moved to Android as well as investing in its own platform, Bada. Flexibility and being able to address all market segments have contributed to Samsung’s ability to quickly adjust to the market trends. Apple, on the other hand, coming from nowhere in the mobile phone business, capitalized on its strong brand and user-experience innovation. It took years for competitors to come up with devices that could challenge consumers’ preference for the iPhone. And now, iPhone has caught the fancy of all and is galloping up in volumes. Like Western Europe, Apple is mounting the pressure on Nokia volumes globally as well. There were 5 million units that separated Apple from Nokia in the Q1,2011 Smartphone shipments. While Nokia tries staying afloat with rehashed Symbian and Annas, Apple’s juggernaut has been more definitive in terms of its upswings. It has become increasingly hard to see how the once-mighty Nokia can ever regain its formidable status. For a company that once dominated the handset market, its first-quarter results and the planned cuts in operating expenses seem to condemn the company to a slow decline over the next two to three years into a faint shadow of its former glory.The company has failed on so many fronts that only its low-end products are seemingly saving it from complete annihilation. What happened to cause such a hugely successful company to fail will be analysed by many aspiring business graduates and industry experts alike. But there is no simple answer to this debacle. The next few quarters are going to be very dicey for Nokia. 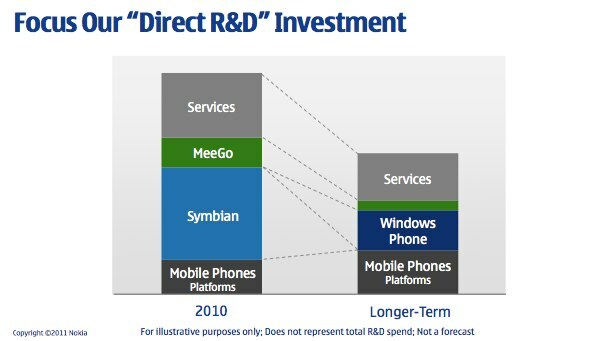 The Nokia-WP7 alliance would be rolling in 2012 onwards and Symbian’s slow death is a planned inevitability (see Elop’s presentation themes on Symbian phase out). Having said that Elop wants to sell another 150 million Symbian Smartphones. The question that begs an answer here is if Symbian is the proverbial burning deck, then why would a user buy it in the first place. 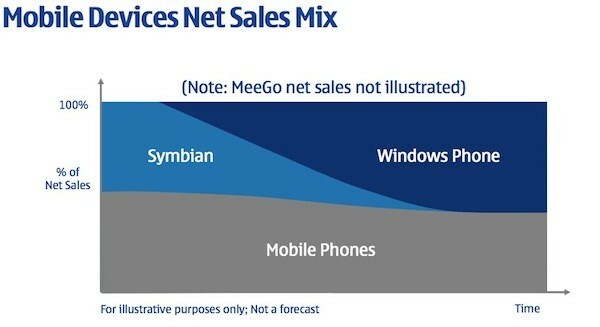 That puts into question, will Elop make 150 million Symbian studded Nokia Smartphones sell? The statistic and the argument don’t feel compelling enough. Nokia could be relegated to 10% of the smartphone market shares before WP7 is launched. That could be a disaster situation for Nokia but that is what stares beleaguered Nokia at its face. With its share price at a 13-year low, it’s perhaps difficult to imagine if Nokia can sink any lower in terms of its worth. The latest to cast doubt on the company’s hopes has been the ratings agency Moody, which last week downgraded Nokia’s credit rating from A2 to A3. This followed a similar move by Standard & Poor’s a week earlier.The analyst viewpoints driving this demotion have revolved around the probability of Nokia regaining its dominant market position, given the threats and uncertainty that surround its partnership with Microsoft for the Windows Phone 7 (WP7) platform. Adding salt to Nokia’s open wounds was the reports that the Taiwanese smartphone vendor HTC, Asia’s second-largest smartphone developer, had surpassed Nokia in market capitalization. On balance, HTC’s sudden rise could be attributed to the huge demand for smartphones running on Google’s Android platform, albeit that HTC’s handsets are recognised for being among the best today. The Gartner release on Mobile Phone shipments for Quarter 3, 2010 puts Worldwide mobile phone sales to end users at 417 million units, a 35% growth over 308 million units in Q3,2009. 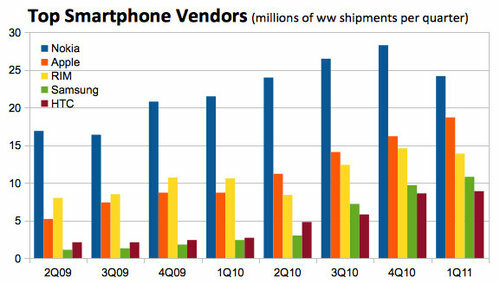 Smartphone sales grew 96% YoY from 41 million units in Q3, 2009 to 80 million units in Q3,2010. Contribution of Smartphone sales to overall sales of smartphones increased from 13% in Q3, 2009 to 19.3% in Q3,2010. Smartphone sales have driven the total mobile phone numbers which otherwise have registered 25% growth YoY. Nokia dropped 8.5% market share to end at 28.2% market share. Another interesting trend observed is the fragmentation of the market by the “Others” category chiefly comprising of white-box manufacturers who have continued to expand their reach outside of China into markets such as India, Russia, Africa and Latin America. These feature rich value for money handsets now form 33% of the total mobile handset sales i.e 1/3rd of the handsets sold globally are white box labels. This in part has been instrumental in taking the wind out of the sales of Nokia, Samsung and LG, the top 3 vendors each of whom have dropped market shares. The Other category grew 16% market share where as the top 3 lost 14.6% market share. Furthermore these numbers are expected to rise further with accelerating growth of the white box handset category. While Nokia reported better financial figures basis better ASPs (in absence of low end products, which were supply crunched) and favorable currency exchange rates, it is doubtful if Nokia would be able to claw back in terms of market share. The Nokia Dual SIM handsets would certainly get additional sales, but it is difficult for Nokia to come back to 36% in view of steady growth of the white-labeled handset makers. Samsung had a strong third quarter, as mobile phone sales reached 71.7 million handsets in the third quarter of 2010, up 18.2 percent from the third quarter of 2009. Samsung’s smartphone market share reached 10 percent in the third quarter of 2010. Samsung sold close to 1 million bada devices in the third quarter of 2010, and 6.6 million Android phones, making Samsung the top Android seller. Apple really has gone from strength to strength and inspite of the Antennagate Fiasco, iPhone sales grew 91%. This was good from the Mobile phone perspective, but it was not able keep pace with the 96% growth in smartphone markets.While Apple remains focused on consumers, enterprise adoption of the iPhone and iPad has grown and will continue powering iPhone sales into 2011. With 48% of the smartphone profits, Apple isnt in a any eagerness for volumes. RIM sales have registered a 40% growth which again pales considerably against a 96% growth in smartphones mostly powered by Androids. Blackberry has been under some pressure in the recent times and a lot depends on the Torch and the Playbook Tablet. The numbers currently donot augur a recovery for Blackberry. Android grew at the cost of every other Mobile Phone OS in the smartphone markets. 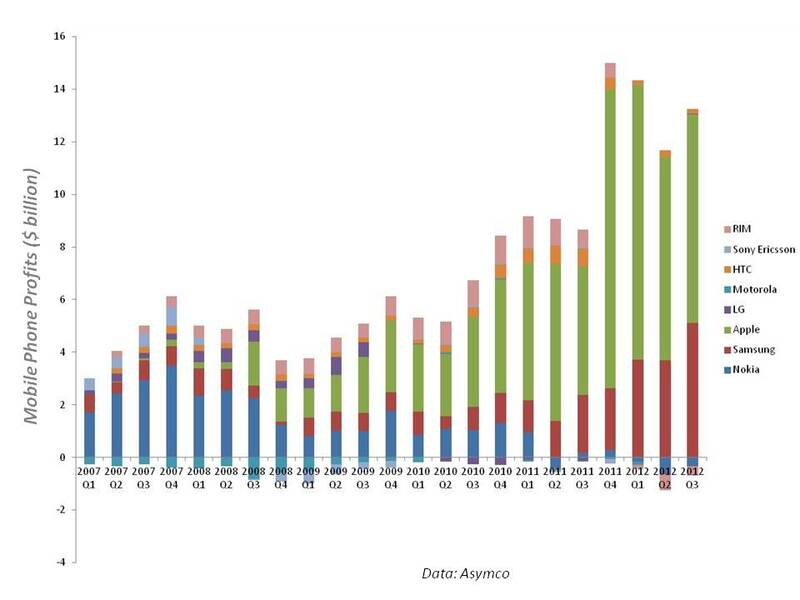 Androids grew at a whooping 1340% YOY. Even though Nokia sold more smartphones, but it pales compared to Android. Every third smartphone in the world is Symbian and every fourth smartphone in the world is a Android powered device. However, Symbian’s future is a little unclear with the exit of foundation members Samsung and Sony Ericsson. (Read more about Symbian here) This leaves even less hope for the beleaguered Symbian to hold on to its leadership which has been so severely challenged by Android. For the whole year 2010, Gartner expects overall device sales to show a 30% YoY increase. The impact of media tablets on mobile device sales will be tested in 2011. Gartner forecasts that media tablets (such as the Apple iPad) will reach 54.8 million units in 2011. 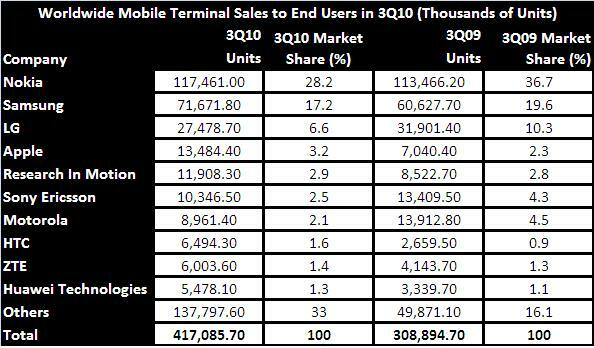 Q1’10 saw RIM, a pure smartphone player, make its debut in the top five mobile devices manufacturers, and saw Apple increase its market share by 1.2 percentage points. Android’s momentum continued into the first quarter of 2010, particularly in North America, where sales of Android-based phones increased 707 per cent year-on-year. Growth in the mobile devices market was driven by double-digit growth of smartphone sales in mature markets, helped by wider product availability as well as mass market price tags. Increasing sales of white-box products in some emerging regions, in particular India, also drove sales of mobile phones upward. We expect sales of white-box products to remain very healthy for the remainder of 2010, especially outside of China. The rise of white-box manufacturers from Asia has also helped the “others” section, as a proportion of overall sales, increase its market share to 19.20 per cent in the first quarter of 2010, up 2.7 percentage points. This is having a profound effect on the top five mobile handset manufacturers’ combined share that dropped from 73.3 in the first quarter of 2009 to 70.7 per cent in the first quarter of 2010. In the smartphone OS market, Android and Apple were the winners in the first quarter of 2010.Android moved to the No. 4 position displacing Microsoft Windows Mobile for the first time. Both Android and Apple were the only two OSs vendors among the top five to increase market share year-on-year. Symbian remained in the No. 1 position but continued to lose as Nokia remains weak in the high-end portfolio.As seen with the iPad and web books based on Google’s Android platform, mobile OS ecosystems are developing and will move beyond smartphones to continue to deliver consumer value and a rich user experience. Mobile e-mail, rich messaging and social networking will continue to drive demand for smartphones and enhanced phones that feature full qwerty hardware keyboards.To compete in such a crowded market, manufacturers need to tightly integrate hardware, user interface, and cloud and social networking services if their solutions are to appeal to users. Just adding a qwerty keyboard will not make a device fit the communication’s habits of today’s various consumer segments. Speaking at the Mobile World Congress (MWC), Google Inc Chief Executive Eric Schmidt urged the mobile industry not to block opportunities offered by the mobile Web and said Google and telecoms carriers could have a symbiotic relationship. Google has raised hackles in the industry by launching a smartphone platform — Android — selling its own-branded phone directly to consumers without the mediation of carriers, and announcing plans to build a super-fast broadband network. It has also been seen as a problem by some operators, which are having to invest and upgrade their networks to meet the huge demand for data services required by users spending time on the mobile Internet and sites from search leader Google and others. Eric urged that the surge in data services had to be viewed more constructively in terms of revenue opportunities. Given Google’s increased focus on smartphone-data services it is not unusual that “Mobile First” is being put as primary focus of the company. The latest acquisition in that space, AdMob, is a result of this new strategy. The signs are there, smartphone sales are growing at a 30% year-over-year rate, which will eventually surpass the personal computer sales.Even more important, the adoption of the Mobile Web is growing annually eight times faster than the Web adoption did a decade ago. In countries like Indonesia and South Africa more searches are done via the mobile Web than via the desktop, it simply cannot be ignored. Three areas are coming together on the mobile device, namely the Cloud, computing power and interconnectivity. All these three areas converge in the mobile device, making it a most powerful device where strategies need to be developed in order to thrive or at least, survive. Check this Slideshare Presentation which is a simple, easy and interesting note on Google’s Mobile Strategy. While 47% of India is “mobile”, a study of Internet Users in India released by JuxtConsult has put the internet penetration of India to be 4.2%. The bad news is that this number has actually declined versus 2008, the good news is that within the regular users, Internet is fast becoming a Habit. Refer to the pressentation for more interesting details.